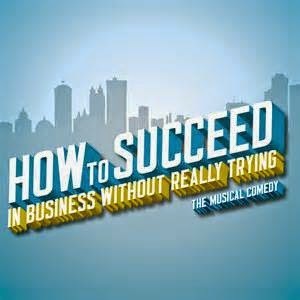 Frozen's Jonathan Groff will star as J. Pierrepont Finch in a UK concert performance debut in How To Succeed In Business Without Really Trying at the Royal Festival Hall on 19th May a 7:30pm . The cast also includes Hannah Waddingham (Kiss Me, Kate/Spamalot) as Hedy La Rue and Clive Rowe (The Light Princess/Kiss Me, Kate) as Mr Twimble. Jonathan Butterell's production has musical direction by Mike Dixon and will also feature the Royal Philharmonic Orchestra in Frank Loesser's classic Broadway song and dance show, which is set in New York in the early 1960s and chronicles the meteoric rise of J. Pierrepont Finch, a young window cleaner who buys a book about rising up the corporate ladder. The 1961 musical was revived on Broadway in 1995 (where the show originally opened) starring Matthew Broderick and then again in 2011 starring Daniel Radcliffe . Darren Criss succeeded Radcliffe on January 3, 2012 for a limited three-week engagement after which Nick Jonas took over the role of Finch until the show closed in May 2012.